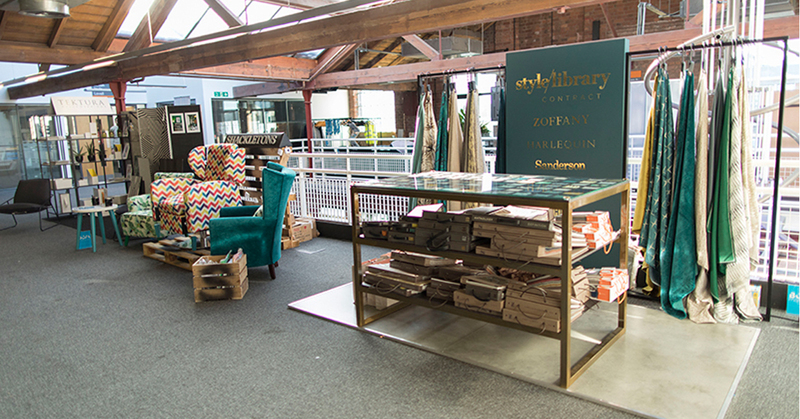 Held on the second floor of the Museum, in a light and airy space, the exhibition gave visitors the opportunity to meet and catch up with 27 BCFA Members based in the north and see their latest and best contract furnishing products. Some of the stand-out stands included Maine's; which showcased some amazing rust-effect cabinets, Johnson Tiles, whose simple yet elegant stand showed off its products beautifully and Tektura Wallcoverings who had a monochrome and bold geometric theme for its stand. The first day was concluded with a ‘In Conversation With’ discussion which was led by Tonje Odegard from SPACE magazine who discussed the hospitality market with Founder and Creative Director of NoChintz, Lucy Goddard. They touched on the importance of ‘Instagram-ability’ of a space today, discussing how the smaller details are important and how the end-user really appreciates them. They also went on to discuss new hotel concepts that we are increasingly seeing pop up including a trend towards the ‘new-age’ style like, forest retreats or yoga inspired hotels. Following the discussion guests and exhibitors could enjoy a well-deserved drink and were treated to a selection of tasty nibbles and canapes. Throughout both days there was also a chance for visitors to get their hands-dirty and get involved with some creative workshops. These included the return of the wonderful Patternistas who held their pattern-making workshop, and print-making techniques with Sheffield-based artist Samantha Groom. Take a look at the highlights film from the entire event here.